The Pest Detectives explores the origins of the brand, including the story of founder Professor Harold Maxwell-Lefroy, a brilliant yet tragic figure; Britain's first Imperial Entomologist and one of the foremost scientific minds of the early 20th century. It covers the personalities, big deals, landmark assignments and technical accomplishments that shaped the business. But as well as looking back, The Pest Detectives is very much a book about the business today: the culture, the strategy, the significant investment in innovation and training required to ensure Rentokil will still be at the forefront of the pest control market another 90 years from now. Through interviews with senior managers and talented 'pest detectives' on the ground, Rob Gray paints a picture of what the brand stands for and where it is going. A compelling picture of the greatest pest control business there has ever been. Rob Gray has been a journalist since 1988. His work has appeared in a wide variety of publications, from newspapers such as The Financial Times and The Guardian through to business titles including HR Magazine, The Marketer, Campaign, Broadcast and Management Today. Aside from developing a healthy respect for the challenges of pest control, Rob writes about brands, marketing, corporate communications, innovation, organisational development and people. 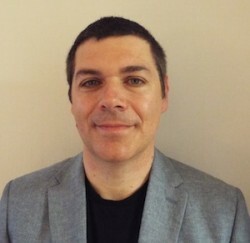 For over a decade, Rob has worked in a part-time freelance capacity as head of editorial content at the International Public Relations Association, where he is responsible for commissioning and editing the IPRA Thought Leadership series of essays on trends in media and communications. His previous book, Great Brand Blunders: The worst marketing and social media meltdowns of all time...and how to avoid your own (Crimson Publishing) explores the root causes of marketing disasters, takes idiocy to task and is packed with good advice on steering clear of potentially damaging pitfalls. It attracted widespread praise: "excellent" - Forbes; "You simply must read this book" - Marketing magazine; Chartered Institute of Marketing Book of the Month. Rob has spoken at conferences and events, including the Eurobest Festival of Creativity in Lisbon. He lives with his wife Ginny on the border of Northamptonshire and Oxfordshire.